Submitted by akreider on Tue, 03/19/2013 - 18:57. Industrial properties are the fourth largest segment of the Philadelphia property market. 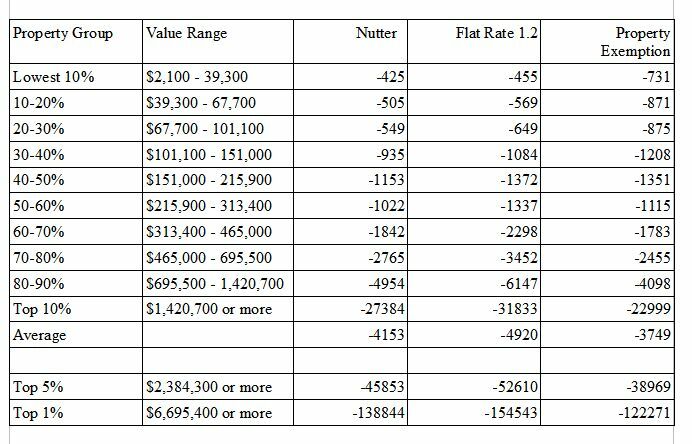 Industrial properties have the lowest valuation increase, probably due to deindustrialization. There may be lower demand for industrial properties as people aren't starting new industrial businesses and converting them into residential or commercial properties is a big job. I'm not sure if it makes sense to give industrial properties a Property Exemption. It would help small industrial businesses - but as they face a tax break already, it might not be necessary. As an environmentalist, I would be fine with giving industry tax breaks only if they aren't polluting too much. Otherwise the city would be better off taxing harmful things (like pollution) than positive things (wages, property value, restaurants, hotels). There are tax cuts across the board for industrial properties. Large industrial properties will benefit the most - especially under a low rate.